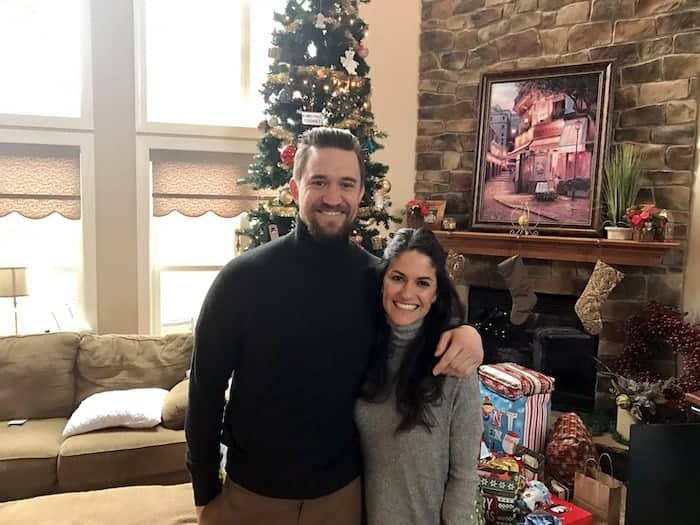 How bout those matching turtlenecks! Lately I’ve big making big batches of smoothies in my Blendtec for both myself and the boyf filled with all the fruits and veggies. Since I’ve been getting asked, I prefer the Vitamix over the Blendtec but I use Blendtec because it’s what I have. We use Vitamix at Alchemy. If I’m just making one smoothie, I use my Nutribullet. I apologize for the ridiculously poor lighting in the early a.m.! 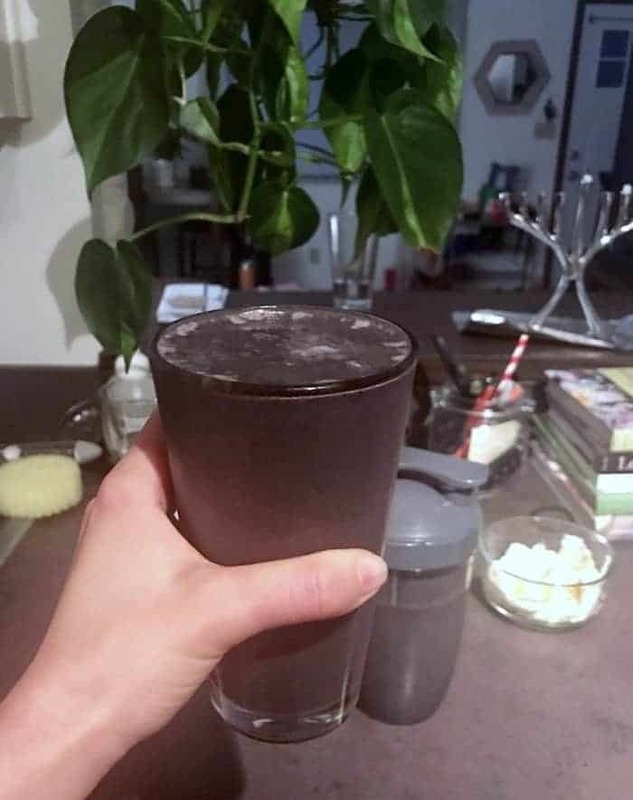 I don’t measure anything, but my guess would be 1/2 cup frozen Wild Blueberries, 1/3 cup frozen cherries, 1/2 cup frozen pineapple, 3 Medjool dates (you could use a banana instead), an orange, 1 cup of frozen spinach, 3/4 cup frozen cauliflower, 1/3 of a zucchini, 3 tablespoons of the best peanut butter, 1 tablespoon of hemp seeds, and a bunch of almond milk to blend. It always makes at least five cups, which we readily slurp down along with a couple cups of our favorite organic coffee with almond milk. I just got this cute little flip top to-go lid to put on the Nutribullet cup to avoid spillage since we tend to sip and drive. Love! 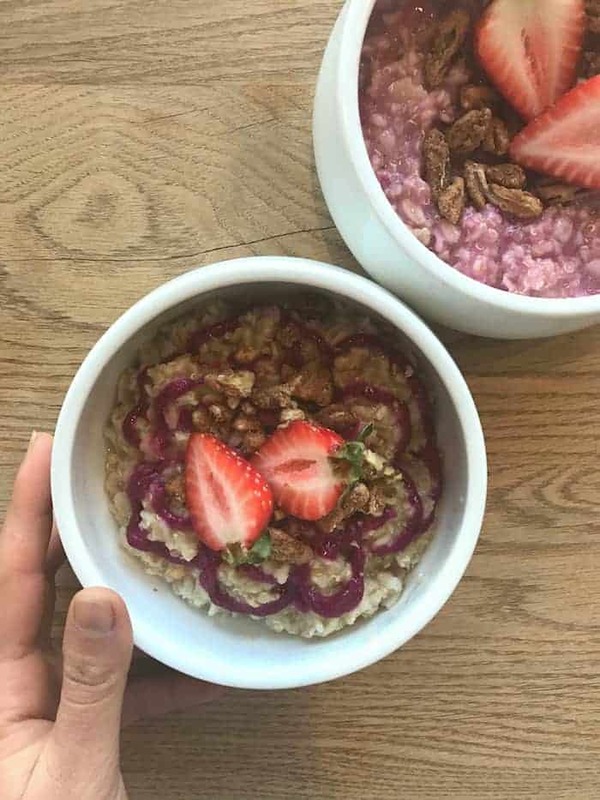 Once I got to Alchemy, we did some dragonfruit oatmeal taste testing. Hashtag perks. More on that soon! 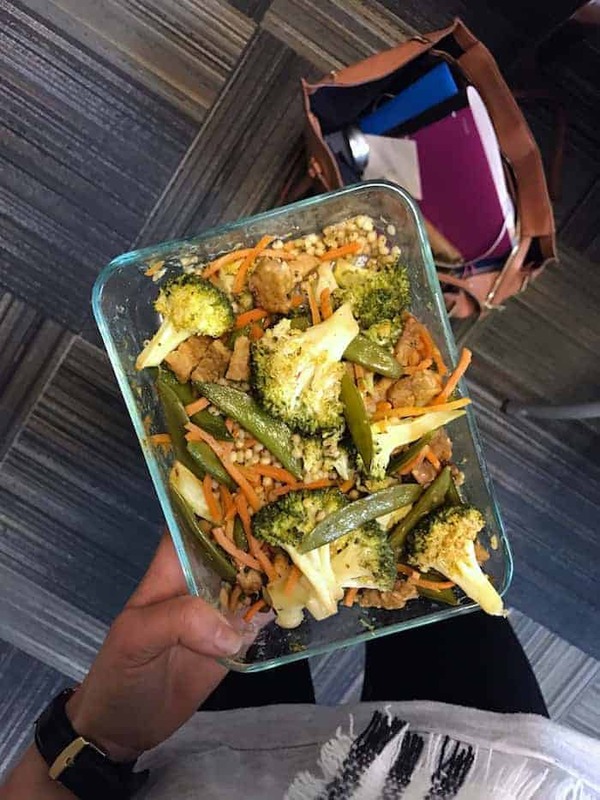 Lunch was a random mix of baked tempeh marinated in ginger, Bragg’s liquid aminos, and garlic with roasted broccoli, snap peas, carrots, avocado oil (great for high heat), garlic, salt, and pepper atop a bed of sorghum. I threw it all in the oven at the same time until everything was browned while the grains cooked. Sorghum is a nutritious gluten-free grain with a nutty flavor. It takes longer to cook (as long as you’re sure to get the whole grain version, not the pearled) but I’m glad I made a batch to try something different! 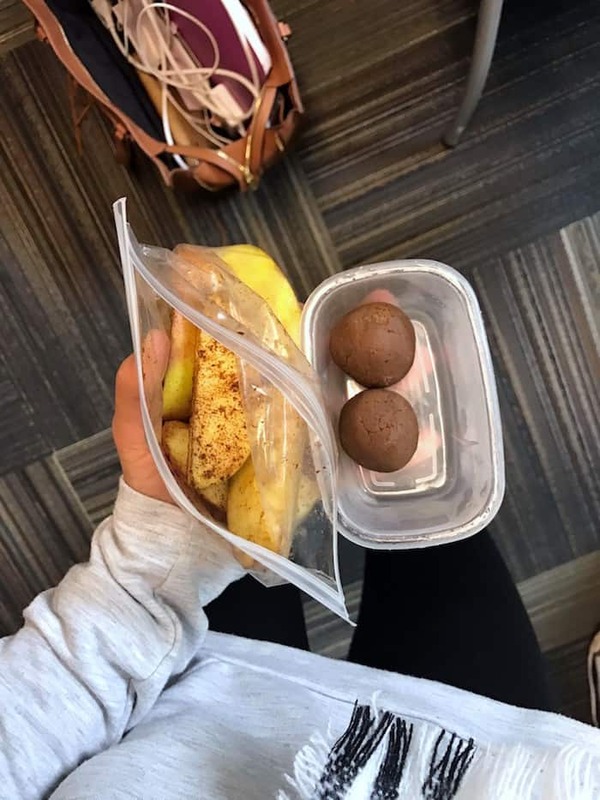 Snacks included a huge organic Fuji apple with cinnamon and a couple Peppermint Chocolate No-Bakes Bites (I did the version without protein powder). 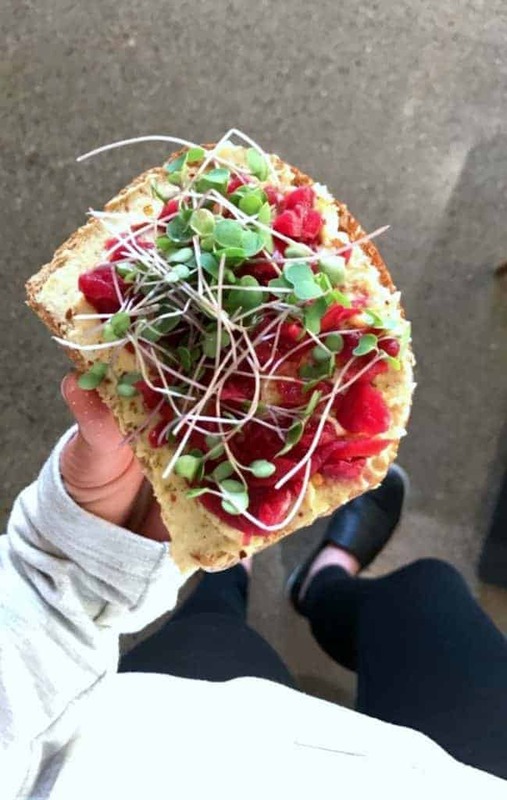 Later on I snacked on toast at Alchemy with hummus, beet kraut, za’atar, red pepper flakes, and micro kale. The BEST combo! 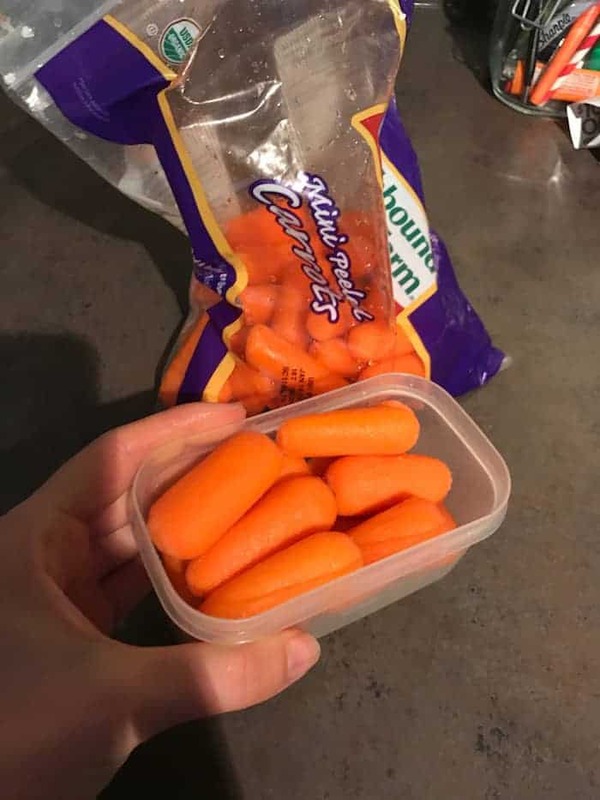 I had to run to Kroger before dinner so I snacked on a bunch of baby carrots that I bought on the way home (pic taken later). I pretty much ate double what’s shown since I filled the crunchy taco with all the fixings once I finished the first. We also had our normal salad big enough to feed a family of four. 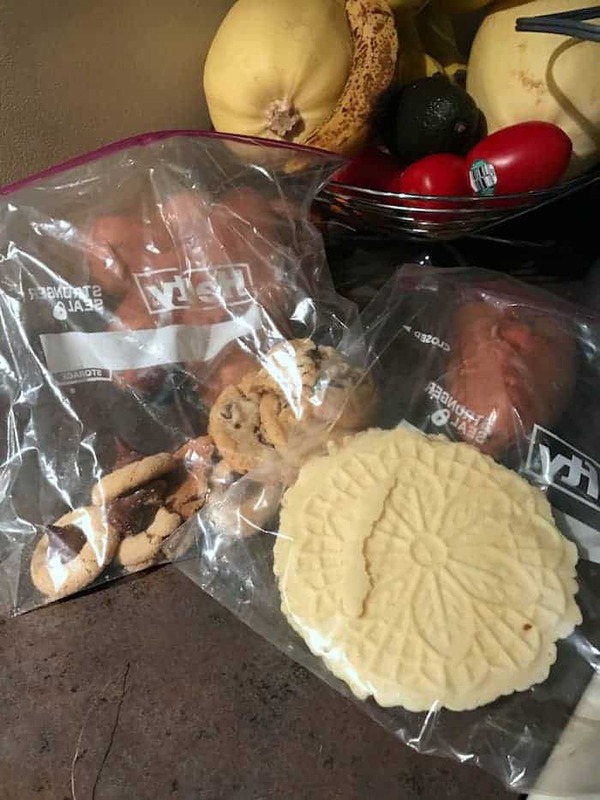 After dinner we dove into the leftover cookie supply. Can’t let those puppies go to waste! You are rocking those turtlenecks. 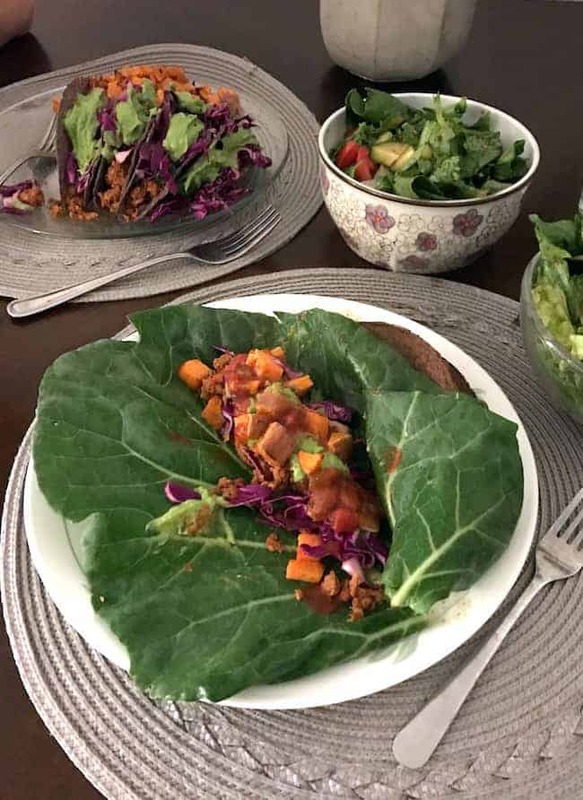 I loved seeing your incredibly healthy looking meals. I don’t think I’ve ever cooked with sorghum, but would like to try it. I love brown rice and other whole grains. Happy New Year! Yummmm…. I’m having an intense craving for veggies now (and cookies, of course)! I wish my stomach could handle fiber better. It hates me anytime I try to have it in large amounts :( So sad, because I’d be all over those chickpea filled collard greens!